For many people, an aquarium is just another decoration around the house; for others, it is a great opportunity to follow their passion. Once you start to realize how exciting the hobby of an aquarist is – listed in top 50 manly hobbies for men by NextLuxury, you might find yourself filling the house with small water tanks! As you may presume, you will need at least some basic equipment to get started. 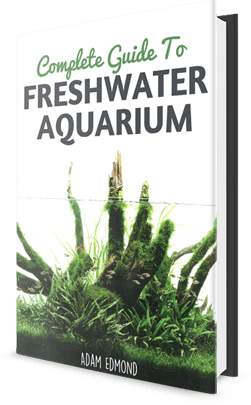 The market is filled with different types of tanks, substrate, and plants, but you have to begin with the basics. Obviously, this is the first thing that you need to buy. You might think that a small aquarium is easier to handle and clean, but that is not necessarily true. It is difficult to find a proper filter for a tank that has a capacity of only a few gallons and you may not have enough space for all the decorations and fish that you want. Go ahead and buy one with a larger capacity which will be easy to maintain, easy to place in multiple places, and easy to love! Once you bring the aquarium home, do not even consider putting the fish in it right away; it is a process that will last a few days. First, make sure the walls of the tank do not have any defects and the edges are smooth with no traces of silicone or adhesive on the inside. Make sure to clean the tank properly without soap or detergent residue that can harm the fish. For those who do not know, these are the small stones (or sand) that are placed on the bottom of the aquarium. They are not only decorative, but you will also need them if you are planning to have some plants. Also, if you want to bring some sand from the beach, forget about it. This sand will suffocate the roots of the plants, make your tank cloudy, and can get stuck in the water filter. After you chose the color and size gravel that you like, you need to clean it properly. Even if it does not have actual dirt on it, it does not mean it is ready to be in your tank. Put it in a bucket and move it with your hands. You will notice that the water will get dirty quickly. Change the water in the bucket a few times, until the water remains perfectly clear even when you move the gravel around. Once you are convinced that the substrate is perfectly clean, you can place it on the bottom of the aquarium. Make sure that the gravel is spread evenly, and that the layer is not thicker than 2-3 inches. For a beginner, finding the right heater, filter, and light can be a daunting task, especially if you have not decided yet what fish and plants you want to have. All of this equipment is absolutely necessary for a proper functioning aquarium. The heater and filter need to be chosen according to the capacity of the aquarium because buying one that cannot handle the capacity will not warm or clean the water enough. Make sure that your heater is not too big either to control the temperature for the fish. Some fish can only live in room-temperature water while others need it warmer. For the light, you will need fluorescent tubes or LED light, which will help your plants grow in a healthy environment within the tank. Lights should not be on more than 10 hours per day, but ensure they provide enough light for the entire aquarium. You have to calculate the intensity of the light that you need according to the size of the tank. Do not try to install normal lamps, because these do not provide enough energy for the plants. I’ve written a guide to aquarium lighting which will hopefully shed some light (pun intended =p) on this issue. The water should be the easiest part of the project, right? After all, you just place a few buckets of water in the tank and it is off to the pet store to purchase the fish! Well, it is not so simple. The water that we drink is not suitable for fish because it contains a very high amount of chlorine and other chemical substances. Therefore, you have to keep it for at least three days before placing it in the tank. Store the water in open containers, and make sure that no impurities reach the vessels in this time. Also, the water can be different from area to area. You can find in pet shops small kits that help you find out the PH of the water and the level of nitrites and ammonia in your water. This will prove to be very useful in the long term. Alternately, you can purchase aquarium water that has the proper nutrients for best results. Even if you do not add them from the very beginning, it is important to know what plants you want to have, so you can choose the right size for the fish, gravel, and tank. Also, keep in mind that some plants are very sensitive and can be eaten by aggressive fish. Here is where the fun part begins! After you have everything ready, start by placing the substrate, water, filter, and heater in the tank. The filter is usually placed in the corner of the aquarium on the wall of the tank. The heater is usually hidden, behind a decoration or plant. Turn it on and keep the water at 25-27 degrees Celsius (77-80 degrees Fahrenheit). Turn on the filter and make sure that the air stream does not move the substrate. Place the fluorescent tubes or LED lights above the tank and use a timer to make sure that they are not on more than 10 hours per day. The aquarium needs to be left like this for 2-3 days before adding fish or plants in order for everything to stabilize. After 2-3 days, you can place the plants. Make sure that their roots are completely in the gravel, otherwise the air stream or any movement will pull them out of the substrate. Once you add the plants, the real cycling process begins. In the next period of time, somewhere around 2 to 8 weeks, your tank will become habitable. If you want, you can add a few small fish, but you need to be very careful and to measure the water ammonium and nitrates every day. Once the filter starts working, it will slowly produce the bacteria necessary to neutralize the ammonia and nitrite. To make sure that everything goes smoothly, you can change small amounts of water every day, but not more than 15%. Of course, the new water that you add should also be chlorine free, which means it needs to be stored at least for three days unless it is prepared water that has been purchased. When the ammonium and nitrates level reach 0, you can introduce more fish. Even so, make sure you do not overpopulate the aquarium or it will destroy the balance that you worked hard to create. After a few weeks, you can be confident that the cycling process is over and you have a perfectly habitable aquarium. From now on, all you have to do is to make sure that the water is always clean and your fish are fed every day. You can experiment with various types of plants or decorations or add new types of fish. Either way, you will become addicted to this hobby! But be careful not to spend too much on your new hobby as aquascaping is one of the most expensive hobby according to List25.com. If you find this article useful and would like more of such articles, like TheAquariumGuide Facebook Page! I want to have an aquarium in my home, so I really liked your tips to help get everything set up! For example, I had no idea that the kind of water that I put in the tank was so important! I want to make sure that my fish stay happy and healthy in their new home, and the water is a big part of that. I’ll make sure to follow your advice and leave the water out in an open container for a few days before putting it inside of the tank, so that the chemical levels can balance out. Thank you for the help! I live on a golf course with many ponds. There are a lot of interesting rocks with fossils on them. Would they make good decorations for my new tank? Sure. Why not? But do remember to sterilize and clean them first before adding to your tank. This article was very helpful!! I have a smallish tank (about 12 gallons) how many fish would be able to live in the aquarium comfortably? Thank You! can bottled water be used to fill the tank as most bottled water is already PH balanced? I’ve often used gallons of distilled water purchased at the grocery store for fish — do you think that is okay? I would still undergo the cycling process.